I still have notes I wrote back in early 2008, just after returning from managing a disaster evacuation centre in Central Queensland. One of the standout points in these notes was my realisation that we have the cutting edge potential to lead the world in disaster resilience building. This timely report by DELOITTE captures a key argument that is one of the major drivers of the Global Resilience Collaborative. The full report can be found here, however the part of most relevance is reprinted in full bellow. 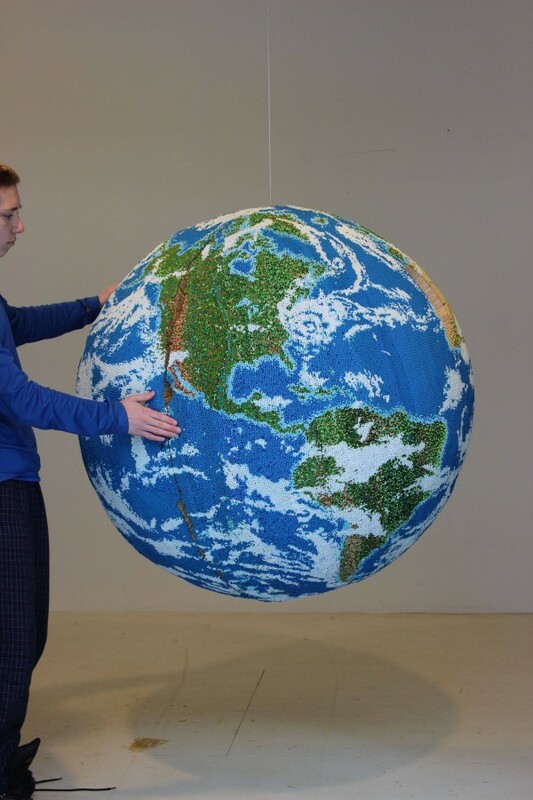 NYC based artist Andy Yoder spent 2 years recreating the satellite images of the Earth during Hurricane Sandy. He hand-painted each of the matchsticks to achieve the perfect pigment, then glued them one-by one to a frame made of foam and cardboard inside a plywood skeleton. Australians are actively putting themselves in harm’s way by moving to warmer and lower-lying parts of our continent. We cannot ignore the fact that our population (and our built environment) will be increasingly concentrated in areas of greater risk. We also know that, generally speaking, prevention costs an order of magnitude less than repair. That alone is projected to lead to the economic costs of natural disasters doubling by mid-century. Accordingly, responding better to disasters – and preventing them – will be vital to Australia and Australians in the decades to come. This will include raising the walls of dams to cut the chance of damaging floods, clearing scrub near homes and putting power lines underground. According to the Australian Business Roundtable for Disaster Resilience and Safer Communities, the right steps could save the Australian Government up to $12 billion a year in natural disaster relief and recovery costs by 2050. So these initiatives don’t just make good sense, they are also business opportunities. Moreover, although most of the markets will be domestic, Australia is also well positioned to sell skills and services into global markets. In part, that is because the world is seeing similar trends to Australia, with increased population in low-lying warm climates – a classic risk combination for natural disasters. Australian know-how can lead the world in these developing markets, with a focus on prevention (preparedness, including identifying risks and acting on them) and cure (management, including dealing with the aftermath of disasters). Indeed, the United Nations has described Australia as a world leader in disaster risk reduction and in 2012 it made the Australian Capital Territory a role model city in its global Making Cities Resilient campaign.